I recently participated on an advisor technology panel at the 2014 FSI OneVoice event in Washington, D.C. One of the topics of conversation highlighted the number of new technologies available and what technology an advisor should consider adopting. It starts with creating a solid technology foundation. Financial services, not unlike most other industries, is a competitive landscape where it can be difficult to separate yourself from the pack, so to speak. There are a lot of skilled institutions and personnel promoting similar products and services. Embracing the right technology is one way to differentiate yourself. Adding technology to your practice can be disruptive, but a firm with the right appetite for change finds success in transforming the customer experience. Let’s look at a few tools and concepts you should start considering adding to your business. 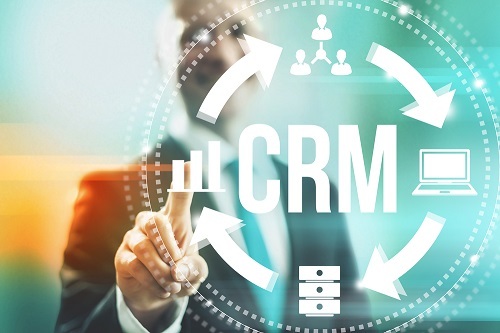 CRM systems are designed to help you manage your business more strategically and efficiently. They serve as the ecosystem where all relevant business data exists—from client contact information and account data, to prospect opportunities and service requests. Your CRM is the hub around which all other technology revolves. Most CRMs are now offered as cloud-based technology, giving you access anywhere on any mobile device and eliminating the need to support the technology infrastructure. The cloud delivery also makes CRM much more affordable. Use CRM systems to automate workflows and eliminate those time-consuming, manual procedures. Set up alerts so that you know when a new proposal is run or an account hits a specific threshold. Have emails proactively sent to your clients when a service case is completed or for an anniversary or birthday. Time is your most valued resource, add more of it through a properly implemented CRM system. If you are currently using a CRM, your future technology choices should include an evaluation of integration with your system. Think of your CRM like a power strip that all other technology plugs into. This will provide you with a simplified infrastructure with one source and a single log in. If you are shopping for a CRM, take a look at your current core system, software, and platforms and find the CRM that will integrate best with your existing technology. If you follow this strategy it will eliminate the siloed technology approach, which often leads to inefficiencies. As important as embracing technology is to your internal processes and procedures, it’s vital for enhancing the client experience. This is where you prove to the client that you add more value than simply serving their investment needs. A recent Fidelity RIA Benchmarking survey found that 77% of high-performing firms were focused on using technology to enhance the customer experience and satisfaction. Client onboarding, for example, is an area worth the technological investment. Tools that allow for pre-population of forms, applications that allow secure, electronic signatures, using CRM data to customize templates—all of these enhancements create a unique and personal experience for the client. And we all know the adage “a happy customer is a loyal customer.” In addition, a paperless workflow technology can provide a tremendous amount of efficiency and process standardization that can help reduce resources required (time and money) and help eliminate mistakes. What about the ongoing servicing of existing clients? Client reporting, much like the onboarding process, helps enhance and maintain successful relationships. Each one of your clients has an investing objective that is personal to them. You need to be able to provide them with a custom report that shows how they are measuring against their goals rather than trying to fit them into a predefined template. The one-size-fits-all model is no longer going to meet your clients’ expectations for the evolving world of goals-based investing. The driver behind successful adoption of technology for any practice is internal participation. You must have buy-in within your organization or practice. Whether a one-man show or a team of 20, everyone has to commit in order to maintain a culture of innovation. With proper adoption of technology, enhanced client experience and satisfaction will be within reach.